Eleven soldiers were wounded yesterday. Four Ukrainian soldiers were wounded in combat amid 21 shooting attacks by the Russian occupying forces in Donbas on 26 April, according to the antiterrorist operation HQ press centre. In the Donetsk sector, the enemy opened fire with 120-mm mortars, infantry fighting vehicle guns and small arms near Novotroyitske. 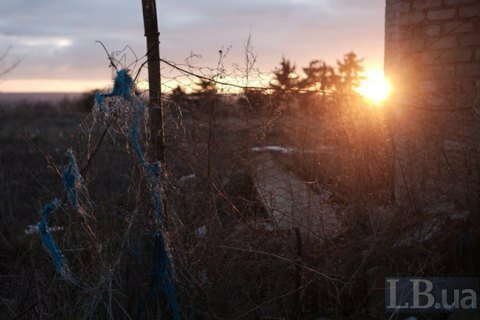 The Ukrainian army's strongpoints near Lebedynske, Avdiyivka, Maryinka and Kamyanka came under fire. Militants used heavy machine guns near Nevelske and Talakivka, small arms near Lomakyne and Opytne. A sniper was active near Novomykhaylivka. In the Luhansk sector, militants targeted Zaytseve with 120-mm mortars, heavy machine guns and antitank rifles. On 25 April, eight Ukrainian servicemen were wounded and three sustained combat injuries amid 76 attacks by pro-Russian militants.